You guys asked for it and we delivered! 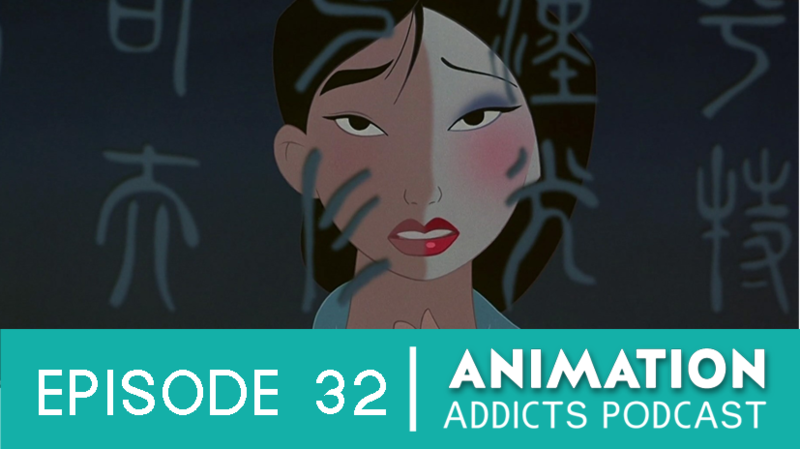 In is our very first listener-request episode, The Rotoscopers review, discuss, dissect, analyze, and goof around with Disney’s 1998 film Mulan. Feeling gypped by Disney’s Netflix offering. Mulan with blue eyes? 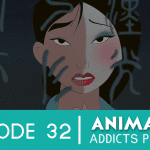 !, Whitewashing the Princesses, Disney redesigns over the years, crazy curls, plastic surgery. Animation laws of the universe: Thou shalt make a crappy DVD cover. Animation style and design is very modern, yet true to Asian aesthetics. Act 1: cool intro, big fan of Shan Yu, Mulan = typical Disney oddball, how do you get the matchmaker job?, hair cutting scene music. Act 2: Pokémon style guardian battle, what happened to the great stone dragon?, Mushu = facilitator, no villain song, Shang just wants to impress his dad, “I’ll Make A Man Out of You” is Mulan’s transformation song, swimming scene. Act 3: Huns battle on the mountain, very “Star Wars”, Chinese-made rope, “apparently there’s a hidden Mickey…”, Animation Law #2: Disney women must not have short rule, “It’s ok to cross dress”, Jafar giving Shan Yu villain tips, letter of the law (Chi-Fu) vs. spirit of the law (Emperor), no love story, strange “party” ending. Bloopers: Rotoscopers pledge, DreamWorks woes, quotes.